Sunrise on Sedona as seen from behind Doe Mesa and the development "The Aerie". 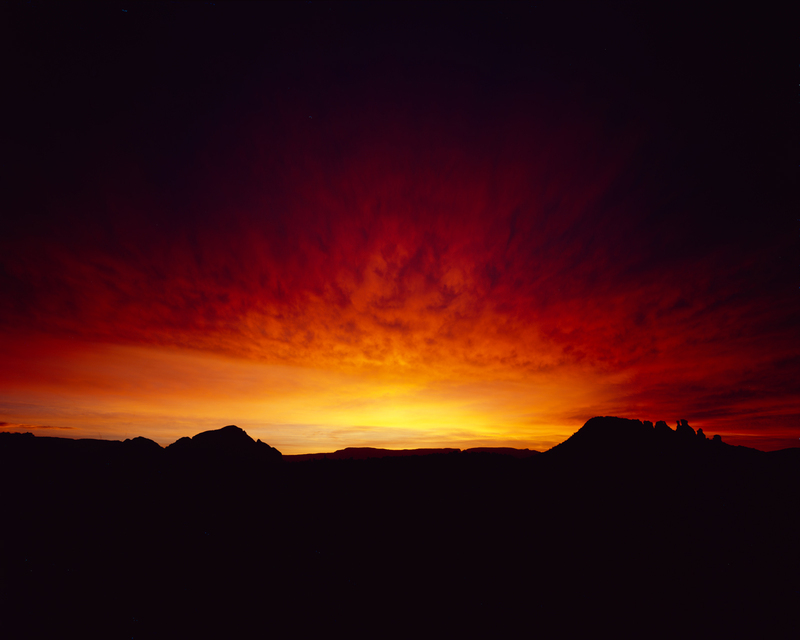 Fuji VELVIA 100. Early on Halloween Day, October 31st, 2008, I drove out behind Doe Mesa and the development "The Aerie" to photograph the sunrise on Sedona. Doe Mesa and "the Aerie" are located in west Sedona, so the view is from the west looking east. I exposed several sheets of Fuji VELVIA 100 color slide film and PRO 160S color negative film. The final exposures, with the sun just about to rise over the horizon, came out the best. 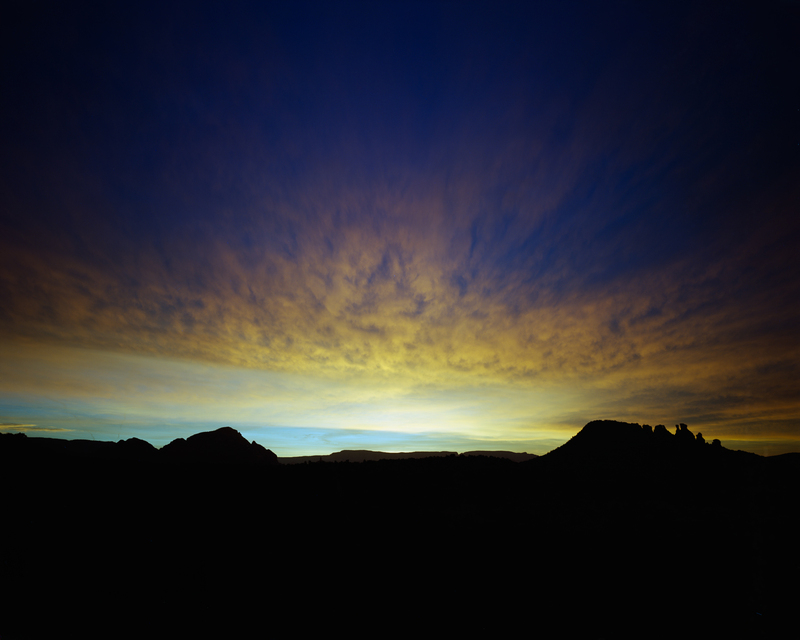 I really like how the mountains and buttes form a simple silhouette against the dramatic lighting of the morning sky. The triangular mountain on the left is Thunder Mountain. The triangular mountain on the right is Cockscomb. I took these photos with my EBONY SV810 8x10 large format camera and Rodenstock SIRONAR-S 240mm f5.6 lens. I set the aperture to f32 and a shutter speed of 1/60 second. Sunrise on Sedona as seen from behind Doe Mesa and the development "The Aerie". Fuji PRO 160S.